The origins of Suavecito started when the Pomade crew met Sosa Metal Works at a car show. After a brief conversation, they were impressed with the innovation and craftsmanship of the bikes Sosa had on display. They immediately wanted a custom motorcycle. The crew was given full creative control. The only direction was make something unique. It all started with discovering the right engine to inspire the heart of the design. The one they found was a 1940 Indian 45 with matching 3 speed trans. Everything grew organically from there and the handcrafted Suavecito Indian Gentleman Racer was born. 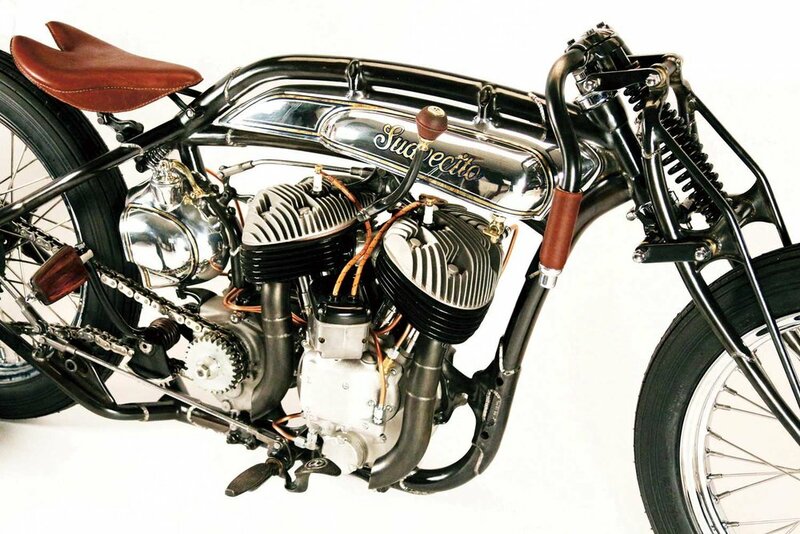 They built around the engine, the frame has lugs with stainless welds, a forks girder front end, left side mechanical throttle linkage and brass and copper throughout. Building the bike was a creative discovery process. The racer has only what’s necessary, so they kept everything mechanical. No cables. No battery. No hidden parts. You can see the whole bike from the engine to brakes. It’s meant to go fast with an equal amount of style. It’s all about showing the craftsmanship, like the acid etched bare metal or the polished aluminum tanks with gold leaf and pinstripe. The Suavecito motorcycle has traveled all over the world. 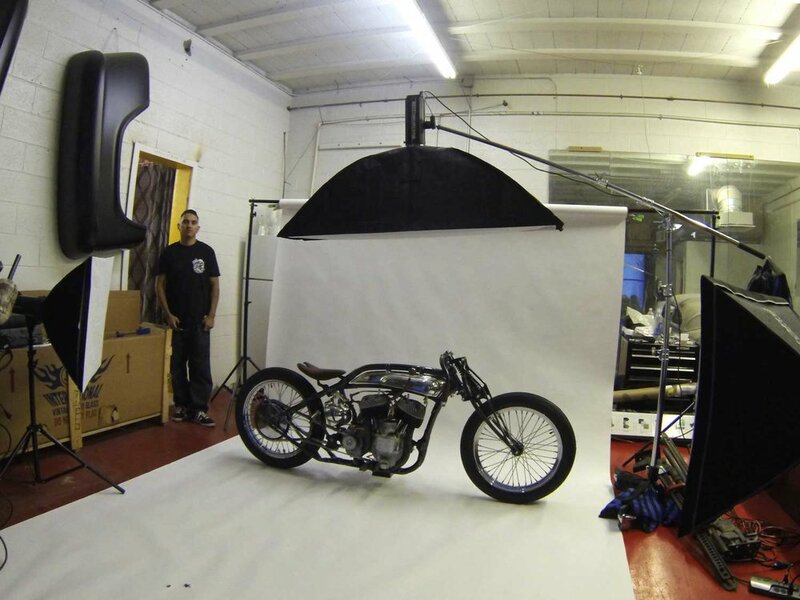 Sosa Metal Works received personal invitations to display it at the Handbuilt Motorcycle Show, The One Moto Show, Naked Truth and The Brooklyn Invitational. To the crew’s credit, many people at the shows see the bike and believe it was created back in the '40s. The Suavecito put Sosa Metal Works on the map. Maybe one of the best things about its success is all the people they get to meet. It got them a lot of work and a lot of attention. It’s been good to them.